For Exterior Painting We Recommend: Sherwin-Williams Duration® exterior paint products. We used Duration® Exterior Acrylic Coating for the painting job featured above. 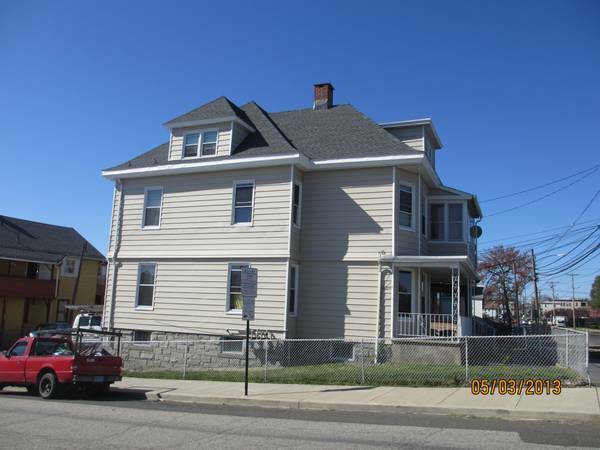 We received a lot of compliments on this job we completed in Bridgeport, CT. A new roof, new gutters, and a new exterior paint job. The customer, and neighbors, were very pleased. Duration paint products are available from Sherwin-Williams. Sherwin-Williams offers some very good painting products, for both interior painting and exterior painting. 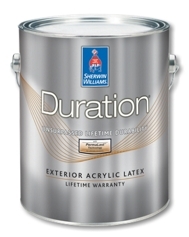 Sherwin-Williams products, such as Duration paint, are only sold at Sherwin-Williams stores. There is a Sherwin-Williams store in Waterbury. The address is: 997 Wolcott St., Waterbury, CT.
You’ll benefit from a wealth of advantages when you use Duration® Exterior Acrylic Coating. Excellent durability and hide, Duration is formulated with PermaLast® technology for long-lasting performance. A thick flexible layer provides resistance to peeling and blistering. Duration is self-priming, offers a mildew-resistant coating and is backed by a lifetime warranty for as long as you own your home. S.O.S. RESTORATION Proudly Serves Wolcott, CT.25+ years experience in Home Improvement and Property Maintenance, including: Interior Painting and Exterior Painting. All Work Guaranteed!S.O.S. Restoration also installs: Roofing, Siding, Windows, and Gutters. Chimneys Rebuilt. For Interior Painting: There are many good painting products available. BEHR® offers a line of painting products: BEHR PREMIUM PLUS ULTRA® Interior Matte, BEHR PREMIUM PLUS ULTRA Interior Satin Enamel, and BEHR PREMIUM PLUS ULTRA® Interior Semi-Gloss Enamel are a few. The choice of which type of paint to use depends upon the specific room that you need painted. For example: For your home’s high-use surfaces, BEHR PREMIUM PLUS® Interior/Exterior Hi-Gloss Enamel paint is a good choice. This paint creates a durable, glass-like finish that wipes clean and resists moisture and mildew, so it’s great for doors, windows, and trim. BEHR® products can be found at Home Depot. Residential Painting: First you have to choose which type of paint to use and which color. We will prepare your walls for painting. The walls should be cleaned before painting. Any holes or cracks will need to be spackled and sanded before painting. Larger gaps may need to be taped as well as spackled and sanded. For larger holes, new pieces of sheetrock may need to be installed, then taped, spackled, and sanded. We will ensure clean lines between walls, ceilings, and trim, and evenly applied paint.